The Harwich Hook of Holland ferry route connects England with Holland. 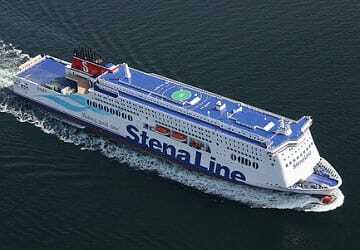 Currently there is just the 1 ferry company operating this ferry service, Stena Line. The crossing operates up to 14 times each week with sailing durations from around 7 hours. Harwich Hook of Holland sailing durations and frequency may vary from season to season so we’d advise doing a live check to get the most up to date information. Prices shown represent the average one way price paid by our customers. The most common booking on the Harwich Hook of Holland route is a car and 2 passengers. 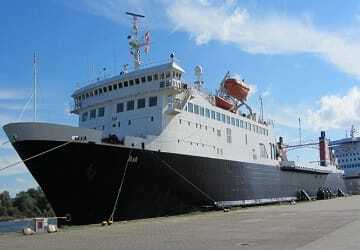 "Harwich Hoek van Holland return"
The very best way to start or finish your trip to Europe. My only major gripes would be the extraordinarily length of time it took to disembark (over 30 minutes on each crossing) and the absolutely outrageous cost of breakfast. The lounge is good value for money but should have been available to book online. The economy cabins were clean and although not exactly comfortable more than adequate to grab a few hours' shuteye. 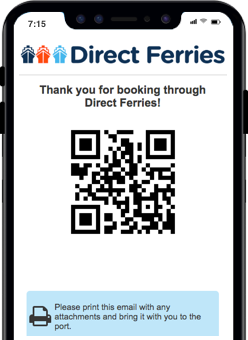 "Try Direct Ferries, THE BEST"
Having tried the Ferry Company first for our requirements, I was so surprised the difference in the cost being offered by Direct ferries. I shall now always use DIRECT FERRIES first. You cannot beat it, try it yourself. Located in the English county of Essex, the town and port of Harwich lies on the North Sea coast, on the estuaries of the River Stour and River Orwell. Operated by Stena Line, Harwich ferry port to Holland is the most popular Harwich route, arriving in the Hook of Holland. Harwich’s port facilities include waiting lounges, shops, a bureau de change, cafes and restaurants. There are also local water taxi and ferry services from Harwich to Shotley and Felixstowe. The Port of Harwich also accommodates cruise ships that continue on to destinations in the Mediterranean, the Baltic Sea and beyond. Its proximity to the sea has resulted in the town having a well-established, long history with both the military and merchant navy. In 1652, the town became a naval base and was heavily fortified with Harwich Redoubt, Beacon Hill Battery and Bath Side Battery. Containing many historic buildings, Harwich's old town has been declared a conservation area. The Hook of Holland is a port town located in the west of The Netherlands and lies at the mouth of the Nieuwe Waterweg Ship Canal flowing to the North Sea. 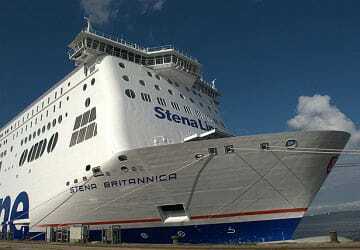 Run by Stena Line, most ferries arrive from Harwich in England, in approximately seven hours. 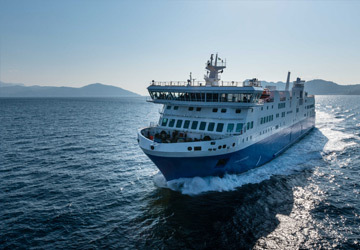 The Hook of Holland ferry terminal facilities include a convenience store, a cafe and bar, while all Stena Line ferries have shops, currency exchange services, an information desk, well-equipped lounge and casino on-board for your entertainment. The town itself, which derives its name from its geographical location in the south western corner of Holland, is of historical significance. Its strategic location meant it was used by the Germans in World War II, but, aside from this, it’s a beautiful town to visit in summer, with one sandy beach stretching from the town to Scheveningen, almost 18 km away.